Dunkin’ Donuts is taking its slogan literally in time for the Boston Marathon by providing a line of limited-edition sneakers through a partnership with Saucony. Although “America runs on Dunkin” has always been about providing energy through coffee and donuts, the brand is stepping into the fitness world for this particular event. 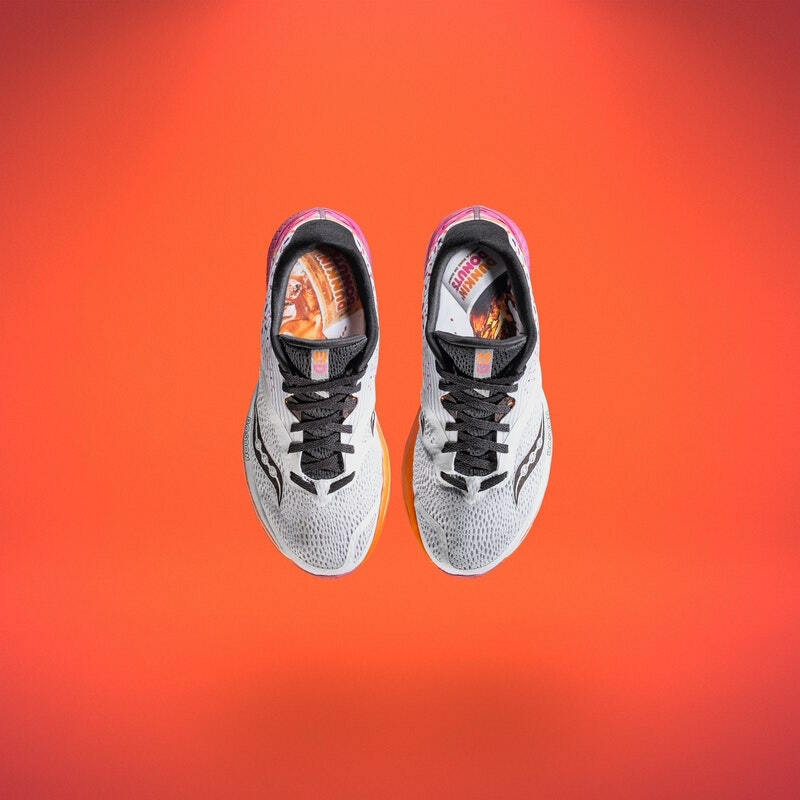 The Saucony x Dunkin’ Kinvara 9 sneaker features a strawberry frosted donut surrounded by sprinkles on each heel, the Dunkin’ Donuts logo on the shoe’s tongue, splashy images of Hot and Iced Coffee on the sockliner and the brand’s signature tagline placed on the center heel along the reflective stripe. The shoes, which were made available for purchase at Marathon Sports, quickly sold out; additional pairs will be sold at Dunkin’ stores in addition to other locations specified by Saucony. The release of the shoes ties in with a DDPerks promotion, offering the mobile-app users twice as many points for the orders made on the app.